Compare Aberdeen Airport parking prices & reviews - AirParks car parks score on average 9/10 based on 78 customer reviews. Plus, save up to 60%. Aberdeen Car Parks score on average 9/10 based on 78 customer reviews. Booking through SkyParkSecure.com is quick and easy. Enter your travel dates and find the best quote for you! Plus save up to 60% off parking at Aberdeen Airport compared to paying on the day! Aberdeen Airport is getting busier every year — it serves over 2.7 million annual passengers. With increasing numbers it's a good idea to reserve your space with SkyParkSecure. SkyParkSecure.com has an excellent choice of Aberdeen Airport parking options. These are secure, well maintained and suitable for all travellers. We have over 15 years' experience and a consistent rating of 'excellent' on independent review sites Trustpilot and Reevoo. Find out flight updates and status information on the Aberdeen Airport live status board. Find out more details on Aberdeen Airport's security controls. You can amend your Aberdeen Airport booking up to 24 hours before at no cost. Amendments made with less than 24 hours notice will incur a £5 amendment charge. The price could change if the dates and times differ from the original booking. You cannot change a non-amendable, non-refundable service as per our terms and conditions. My vehicle details have changed, what can I do? All Aberdeen Airport car parks promoted through our site are extremely safe. They offer high levels of security, with advanced CCTV systems, electronically controlled entry and exit barriers, and 24/7 walking patrols. What's the difference between on-airport and off-airport Aberdeen car parks? On-airport Aberdeen car parks are within the airport grounds, so transfers to the terminal are usually quick. Off-airport Aberdeen car parks are outside the airport grounds but won't be more than a few miles away. All offsite car parks have free regular transfers running to and from the terminals. Meet and Greet parking at Aberdeen Airport is where your car is collected from you outside the terminal. Parked in a secured car park by a driver. Brought back to the terminal on your return from holiday. If I have booked meet and greet parking at Aberdeen Airport, what do I do on the day? If I have booked meet and greet parking at Aberdeen Airport, what do I do once I return from my trip? As with your arrival, our chauffeurs will need 20 minutes notice to bring your car to the pick-up point. We advise that you call them once you have collected your luggage from the carousel to avoid having to wait for their arrival. 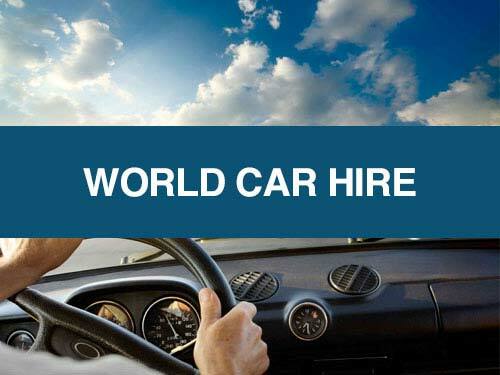 Once you have met the driver, they will return your car and you will be able to drive home. What happens if we return early? What if my flight back to Aberdeen is delayed and I overrun my parking time? Is there free wireless Internet access at the airport? Complimentary WiFi is accessible to all passengers at Aberdeen Airport. On your device, select the WiFi network 'BT Openzone', select 'Access Free WiFi', and complete the form to browse. Do I need to leave my car keys? You will need to leave your keys at Aberdeen Airpark. A parking attendant will move your car into a convenient departure bay ready for your return. 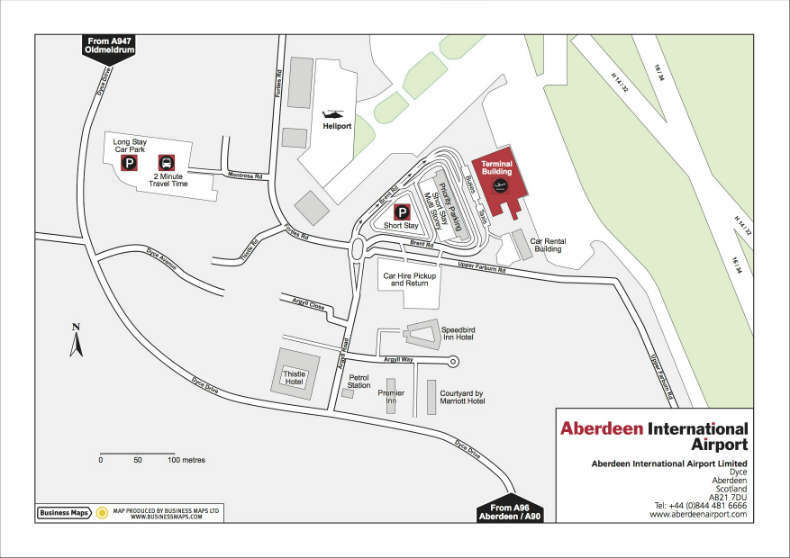 Aberdeen Airport is seven miles from the city centre and easily reached from the A96 Aberdeen-Inverness road. Please be advised that Dyce Drive will be closed for extended road construction works until further notice. A contraflow system will be in place on the A96 (eastbound). 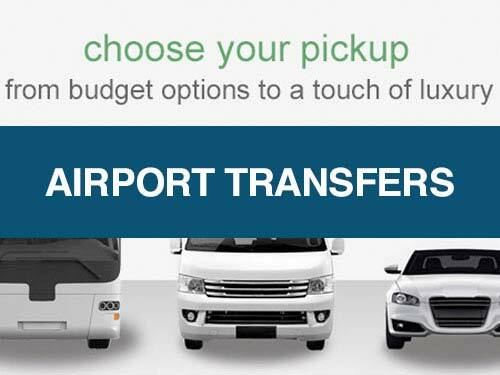 The bonus of booking Aberdeen Airport parking through SkyParkSecure.com is that you’ll always pay the cheapest price. We guarantee to give you a lower price than our competitors with our Price Check Promise. The check-in area is on the left as you enter the terminal. If you're flying internationally, please arrive at least two hours prior to departure. If you're flying within the UK or Ireland, please arrive at least 90 minutes before. Some airlines allow you to use self-service check-in to save time. These are Flybe, SAS, Wideroe, Air France, KLM and Lufthansa. However, please check with your airline prior to flying. Enter your details into the kiosk and then print out your boarding pass. 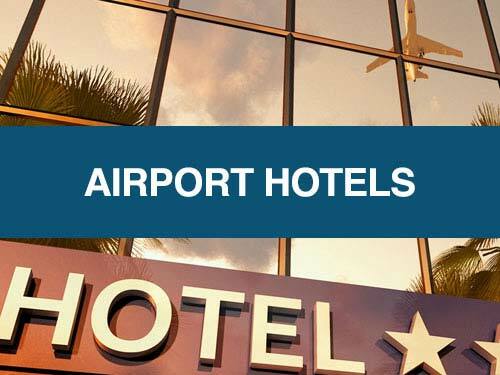 Many airlines enable you to check in online before arrival. Please double check this service is available for your flight. 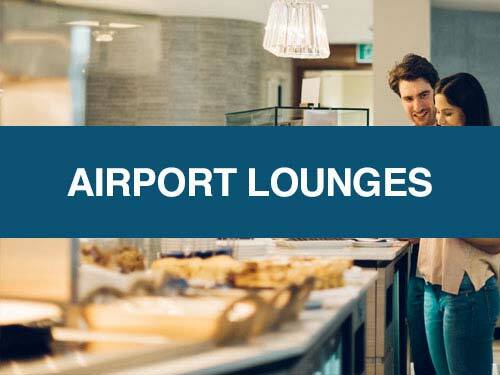 There are a variety of shops and restaurants at Aberdeen Airport for you to enjoy. Park Mark is a national standard for UK car parks. It shows they have low crime and measures to ensure the safety of customers and their vehicles. Make sure your Aberdeen Airport car park or meet and greet service meets the required standards.